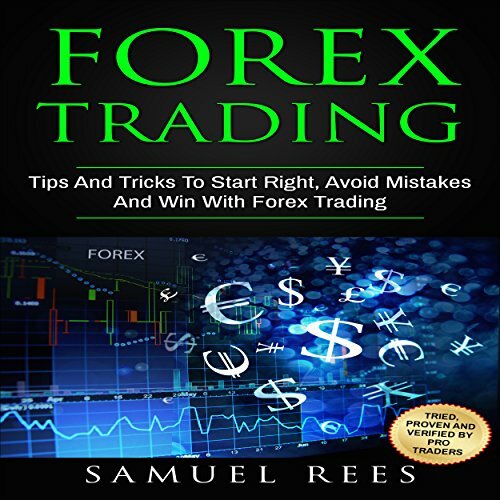 Get ready to find out the tips and tricks you need to make a profit in forex. There are too many mistakes you can make in forex to just enter an opening trade and hoping for a profit. Take the gambling out of forex. You owe it to yourself and the hard work you have done to risk it all on one or two trades. Yes, it might be an emotional high as you make huge amounts of money on the first couple of trades, but what happens when you make a mistake because you didn't know about it? You didn't know that you should do this or that before risking your money? Don't follow in the footsteps of the forex naysayers. Instead, get this book that is going to teach you what you can do to avoid the mistakes and make a profit. There are ways to start right and ways to go completely wrong in the market. Awareness would make us gain. I might be listening again. But, It would be a next level of study. What was one of the most memorable moments of Forex Trading? I'm not sure about this question. However, I could say that every single information are relevant. I don't know which scene. Being aware of what's going on with the market is a must for a trader. This is what I learned when I listened to this book. Knowing exactly when to enter and to exit is a good trait. Forex has one of the huge market but it is risky, too. We could avoid this risk if we apply the right strategies to make it work. Knowing what currencies to trade within a time frame is a good idea. Most of all,learn from every trading experience.